The Chairperson was accompanied by Sub-committee chairperson, Mr Sfiso Buthelezi, as the Chairperson would be away during part of the meeting. It was noted that the Sub-committee would be holding meetings to aid in going through this Bill. National Treasury went through Schedule 4 until item 25. National Treasury said that the Schedule amendments are aimed at ensuring that the 13 financial sector laws are in alignment. The committee agreed to all of the clauses that were covered in the meeting. A key focus of the discussion was the introduction of a central counterparty, the exemption process for such a global entity, and the conditions required to achieve jurisdiction equivalence. The Committee and Treasury would be meeting on 25 September to conclude the discussion on this Schedule at the Financial Services Board offices in Pretoria. The Committee had dealt with the ‘mechanical’ amendments to the Financial Markets Act in Schedule 4 but the controversial issue on applications for licensing a foreign external central counterparty was yet to be covered. The Chairperson said he wanted to point out aspects of the process for entities that were at the meeting and for those that are not familiar with the process. He asked Adv Jenkins to correct him if he was wrong, but as far as he knew, sub-committees could sit in parallel sessions to assist in going through legislation. Unless Parliament’s rules had changed, a sub-committee could still meet to assist in going through legislation. A sub-committee can be closed but a committee meeting cannot be closed. The sub-committees usually have one representative from each opposition party, sometimes two or three from the ANC. No decision the sub-committee makes is valid, it can only make proposals to the committee. Usually what used to happen was that the proposals of the sub-committee had to be considered further by the committee. If there is a quorum in the sub-committee it does not matter if all the opposition parties refuse to vote. So whether the DA was not in the meeting that day, it does not undermine the process. Adv Jenkins said that everything that the Chairperson had said was correct, except the issue of sub-committees being closed. The rules for the sub-committee are the same as the rules for the committee and that the sub-committee is a sub-committee only in name, it is not a formal sub-committee but is just an operational procedure of the Standing Committee on Finance. The sub-committee is in control of its own proceedings, but like a main committee a sub-committee cannot be closed unless it complies with the constitutional requirements. With regard to the issue of the quorum the Chairperson was correct, the sub-committee does not take decisions, the sub-committee is a process or a mechanism that does not take decisions and as such it does not even need a quorum. Mr S Buthelezi (ANC), Sub-committee chairperson, thanked Adv Jenkins for the clarification. Today’s meeting would finish at 13:00. If the business of the meeting was not concluded by then, Treasury had agreed that the committee and Treasury would meet the following Monday in Pretoria to conclude the business. Those that would not be able to come to Pretoria could join the meeting via video conference. This business should be finalised in the meeting the following Monday. Mr Topham of the DA had said that he was happy to join the meeting on Monday but he had said that before the events of the previous afternoon so they would have to check to see if he would still join the meeting. The Chairperson asked the committee secretary if he was correct in thinking that the meeting venue was only available until 12:30 today. He was pleased that the meeting in Pretoria would be happening the following Monday as this meeting had always been on the agenda and the Chairperson did not want to put pressure on the committee to complete the business today. His role ended here and that the sub-committee notices and other related items would go to the committee secretary. He said that for people who are not familiar with what happens in Parliament, the robust exchange between himself and the DA the day before might have seemed unusual but it was par for the course. He jokingly said that people are not aware of what happens outside of meetings and what goes on between himself and Mr Maynier outside of meetings. Almost every second day Mr Maynier has issues. The Chairperson said that he was not budging on this issue because it is a moral issue and a value and a principle for him. He would not budge on this issue even if it meant foregoing being the Chairperson. However this issue had nothing to do with the processing of this Bill and there is no basis that one can go to court on with regard to this issue. Mr Buthelezi asked National Treasury if the meeting was starting with item 34. The meeting would be starting with aspects of the FM Act that are more controversial. The committee was busy with the Schedules and that it is important for the committee to go through the amendments on the Schedules and to know from where the amendments emanate. Mr Roy Havemann, Chief Director for Financial Markets and Stability for the National Treasury, said that the Schedule amendments are aimed at ensuring primarily that the 13 financial sector laws regarding the Long Term Insurance and Short Term Insurance Act, and so forth, are in alignment. These laws currently refer to a registrar, there is a registrar of banks and a registrar of insurance and a registrar of pensions and so on and there are 14 or 15 registrars, even though all of these registrars are only two people. In Treasury’s view registrar is quite an old fashioned term, which makes one think of a hospital or a university. In the new framework Treasury refers to these people as authorities. Treasury was simply replacing the word registrar with the word authority and had removed some other things in the Act to align with that change. These amendments were not controversial at all and that hardly anybody even commented or noted those changes. However Treasury is making proposals in three pieces of legislation, as part of this process. The first set of proposals is in the Financial Markets Act, and those proposals are primarily to implement G20 commitments. The majority of the G20 commitments were actually agreed to in the G20 meeting held in Russia in 2013 and Treasury agreed to introduce a framework for recognising jurisdictions, not only in South Africa, to ensure you can do cross-border transactions. That was an outcome of quite a long process of engagement between a range of people. South Africa’s Minister wrote a letter to the US Treasury Secretary together with 20 other ministers of finance and there was a huge political push to introduce the idea of equivalence. That is one big change that Treasury is making and it has been very controversial and the JSE is not in favour of it. The second set of changes is to the Co-operative Banks Act. The Co-operative Banks Act relates to one of the issues that the committee had raised the previous day. Treasury has created something called the Co-operative Banks Development Agency to help facilitate the emergence of small co-operative banks in South Africa. The Act has been in operation for a few years but only two co-operative banks have been established out of the process. There has in the past been difference of opinion about the interpretation of certain clauses, particularly around “intermediary” and Treasury is proposing to clarify the law in more detail. Moving on to speak about the Financial Markets Act (FM Act), Mr Havemann said that he is not the expert on financial markets so he would ask the Deputy Director of Financial Markets and Competitiveness at National Treasury, to take the committee through concerns related to the Financial Markets Act. Ms Sihlali would explain what Treasury was proposing to do in the Schedule and the matter of a central counterparty. The Chairperson asked if Treasury was starting about half way through the document. Ms Jeannine Bednar-Giyose, Director: Financial Sector Regulation and Legislation, Treasury, said that Treasury had printed a few copies with page numbers and those were passed out. Mr Havemann said that the committee was starting on page 68 for those in the meeting that had copies of the FM Act that were numbered. He had given his numbered copy to someone else so he was without a numbered copy. Ms Bednar-Giyose said that the most controversial part of the Act is actually near the end, the part of the Act that it is easy for the committee to go through is at the beginning. Mr Buthelezi said that a high level comment from him is that he finds it a bit odd that people that always value globalization then have an issue when South Africa must act as a global player. Adv Jenkins said that he just wanted to provide clarity and specified that the document with page numbers that had just been handed out to members was sent to members electronically on 16 September 2016. Mr Havemann confirmed that this was correct and that the document contained Schedule 4. The Chairperson said that the majority of members are sympathetic to Treasury but he wanted Treasury to explain what the issue is in this regard and why the JSE is so “jittery”. From what the committee could gather, it is because the JSE will no longer have the monopoly on the stock exchange. He asked how this relates to the London Stock Exchange and so on in the new regime of Twin Peaks and the Financial Sector elsewhere in the world. He wanted to know if the JSE has a case on the basis of what is happening in other countries that have already moved into similar financial regimes as the one that South Africa is moving into. Ms Petula Sihlali, Deputy Director: Financial Markets and Competitiveness, National Treasury said that the broader issue is that South Africa is part of a global economy and does not want to close off opportunities for international dealings. Treasury wants South Africa to be a global centre for Africa. Thirty years ago the stock exchanges specialised primarily in trading. Since regulations have been enacted the stock exchanges have emigrated and there have been a lot of consolidations and the stock exchanges have branched out into other services. There are very few traditional stock exchanges. Treasury is being innovative in its response. Mr Buthelezi asked if anyone wanted to add to what Ms Sihlali had just said. The Chairperson asked if the monopoly would be removed after the Financial Markets Act (FM Act) came into effect and who the JSE’s competitor would be. He was asking this because he does not understand the financial markets and because the JSE is so important. He said the advantage of having a closed meeting is that members can feel free to show their ignorance. He goes by the majority because they probably understand the FM Act better than he does. When one is chairing they need to respond to everything that is happening in the meeting as that is what the job entails. Mr Topham and Mr Lees have a lot of experience with issues relating to this Act because of their professions. He would therefore follow the consensus of the majority and find out about things that he is not sure about after the meeting. He personally agreed with the amendments that Treasury had made here to the extent that he understood them but, he wanted to know who the JSE’s competitor will be if these amendments are enacted as these amendments break the monopoly. Mr Buthelezi asked Treasury to also discuss prevalence and licensing. In South Africa the main thing that always comes up with issues related to finance, and rightly so, is how they will affect economic growth and employment. The committee should therefore be very clear what impacts the amendments that it is proposing to will be on the greater economic imperatives of the country. Ms Sihlali said that this aspect of the FM Act refers to larger, foreign entities that have the resources to come in and participate in the market. Treasury has introduced four things with regard to the central counterparty. In the drafting the FM Act Treasury had specified that the entity must operate more independently. What we have not included is the definition of 'central counterparty' because it is a type of clearing house, so we propose that we introduce this definition into the Act because they had raised objections that we cannot introduce a CCP as another category of market infrastructure. A CCP is really a clearing house where the risk management of both counter members is centralised in the CCP which will take away the risk of the trade contract. The CCP is taking on that risk of that contract and it collects collateral from the counter members for this. That is how the CCP model works which is quite different from the agency clearing house where they provide and manage a clearing contract, but does not take on the risk. What we are saying is that we want to have a CCP because that is the type of business model that is a requirement. During the crisis, where contracts had been cleared by the CCP, they were relatively insulated. So we have introduced that concept. It will be an independent entity from the government’s perspective. That was a contentious issue for the JSE. A CCP is global financially. It is a normally a global entity and so it is recognised everywhere. In a country the size of South Africa where you have the four banks, this creates a concentration of risk. This will neutralise the risk. The question arises how you treat these foreign entities. Either you allow that there is no distinction between a local entity and a foreign entity in terms of market access. Alternatively, and this is the preferable option, they are allowed to defer to the foreign jurisdiction regulatory regime but in order for you to be able to do that you need to have an appropriate safeguard because it is very difficult for a domestic regulator to regulate an entity that is based abroad. So what we are saying, we can request an entity to be a domestic entity but exempt them from certain requirements of the Act. The fourth characteristic relates to [inaudible]. Mr Havemann said that this is not actually the stock exchange but rather one of the businesses that the JSE have in their group of companies, which the JSE refers to as JSE Clear. This issue does not actually affect the stock exchange. It is a business that the JSE want to build, not a business that they actually have. It was important to highlight this point, and as Ms Sihlali had said, the programme for competition on exchange rules which is Treasury’s position since 2012, does not affect the stock exchange at all. In reply to Mr Buthelezi, Ms Sihlali said that the impact of over-the-counter (OTC) derivatives market, when compared to the stock exchange, is quite large but it is risky as it is bilateral. By allowing these foreign entities, it allows these entities to transfer risk away from South Africa to the global market. At the same time it opens up access to global markets, enabling access of local agents into foreign markets. Treasury wants to establish South Africa as a global player which means that foreign financial services should be able to come into South Africa. However, the amendments in this section of the Act do not directly impact the stock exchange. Mr Buthelezi said that it was important for Mr Havemann and Ms Sihlali to go through the aspects that they just had as these were important changes. The amendments in the next few clauses were just ‘mechanical’ amendments informed by discussions between the committee and Treasury. When business comes to government the stakeholders always meet. These amendments affect economic growth and employment/unemployment equity in the country and the committee needs to consider this when making these amendments. From what he understood, the contract opens up opportunities for South Africa to get more business. The committee understands and agrees to those amendments. The Chairperson said that he was not sure if this was an appropriate comment to make at this time or if he should wait for Mr Momoniat to be in the meeting to make the comment, but while South Africa needs to take heed of the G20 standards and any other standards that apply to multinational institutions that participate internationally, that South Africa also needs to consider its own standards. South Africa should not succumb blindly to what entities like the G20 says. The UN is a bit more challenging because they are, in theory at least, power relations in the global economic political realm. South Africa should not forego its national sovereignty and there are things that it has to do to protect its own standards, without violating the G20 and other regulations. Mr Havemann said that Mr Momoniat would be able to explain in more detail because he has been involved in the G20 in some form since his previous job where he was Treasury’s Deputy Director-General on International and Regional Economic Policy. Previously the G7 and then the G8 had been the major global forums and then after the 2008 economic crisis there was a revolt from smaller countries who said that the larger countries were not creating good economic policies. A two-way exchange was then offered and the G8, which was the premium forum for global decision making, was extended to the G20 which includes the 20 largest countries in the world. The Chairperson asked if South Africa is one of the 20 largest countries in the world. Mr Havemann said that South Africa does not technically fall into the category of 20 largest countries in the world as it is ranked as the 22nd or 23rd largest country but South Africa negotiated hard and managed to make it into the G20. The agenda of the G20 was to some extent hijacked by US and European interests and South Africa wanted a better system in this regard and had to lobby hard inside the G20 to get the G20 to change the approach to equivalence. South Africa wanted the decision on equivalence to be made by the G20 and not by the EU and US. Treasury sees the G20 as a really good opportunity for South Africa to influence the global agenda, particularly on financial services regulation. But he noted the Chairperson’s point that South Africa should not give up its own standards. However, Treasury sees the G20 as a much better forum than the old G8 because South Africa was usually not invited to participate in the G8, and when it was invited to participate, it was not taken seriously. Ms Sihlali said that Treasury was cautious of not restricting growth within the economy so it was proposing a balanced approach. This has an immediate benefit for the South African market when competing at an international level because it opens up more opportunities and options for more market infrastructure, compared to smaller exchanges. Mr Buthelezi said that while the committee is trying to achieve certain ends with the amendments being made, it needs to keep in mind the impact of these amendments on the economy. The committee should spend some more time on understanding these impacts and that it is very clear on what these impacts are so that it is not taken by surprise when the amendments have certain consequences on the economy in the future. The committee was starting with Act No 19 of 2012 and there had already been some deliberation on this Act. The Bills’ amendments to the Financial Markets Act began on page 68 of the document. Ms Sihlali mentioned the definitions that had been included in the alignment with the Financial Markets Act such as central counterparty, conduct standard, external market infrastructure, and financial sector law. Mr Buthelezi, Sub-committee chairperson, reminded members to raise their hands if they wanted to comment. The Chairperson said that he would check with Adv Jenkins but he was sure that, as mundane as it may be too do so, the committee would have to go through every clause to avoid a situation in the future in which someone says that the committee did not follow procedure. The committee had to check off all the procedural requirements so that someone did not complain at a later stage that the committee did not go through everything and this person was not given a chance to comment. He asked Adv Jenkins if, once Treasury had explained the concept of a clause to the committee and the committee had agreed to the clause, if the committee still had to go through each sub-item. He wanted to know if, once Treasury had explained the concept of the Schedule to the committee if the committee could agree to the Schedule unless there was a member that had an issue with something in the Schedule. Adv Jenkins replied that it is procedurally inappropriate for the committee to not go through every sub-item. What is required in terms of the rules is that the committee goes through the Bill clause by clause, as it had done in the past, and that would include the Schedules. The committee would have to go through all the Schedules page by page so that members could have an opportunity to raise objections to an item in the Schedules. The Chairperson said the committee should tread carefully with regard to procedure, given the sensitivities around this Bill. He reminded members that if procedure was not followed correctly that the committee would have to deal with the consequences at a later stage. He thought that the committee should not rush to finish the business that day as it would be meeting with Treasury again on 25 September and so the business would be finished on the 25th. Mr Buthelezi, Sub-committee chairperson, said he would not read out each section. In considering the amendments to the Financial Markets Act, he directed members to each section and subsection, paused, and after any comments or if there was no comment, he ticked the relevant clause and took it to mean that the sub-committee accepted the amendment. Mr Buthelezi noted that the committee agreed to sub-items (a), (b) and (c). Mr Buthelezi wanted clarity on a definition in sub-item (d). Ms Sihlali said that will be the definition of a central counterparty which is a clearing house and she paraphrased her earlier explanation. Mr Buthelezi said so we are ok with (d). The committee agreed on (1) (a), (b), (c), (d), (e) and (f). He asked Treasury if they wanted to comment on sub-item (g). Ms Sihlali said the substitution is for sub-clause (b) of the existing definition of ‘clearing member’ in the Act. Mr Buthelezi said that the committee agreed on sub-items (h) and (i). He asked Treasury to comment on the changes that had been made to sub-item (j). Ms Sihlali said this was introduced in the FMA before, for each market infrastructure there is reference to an external market infrastructure [inaudible]. Mr Buthelezi said that the committee agreed to sub-item item (k) (a)-(e). The committee also agreed to items (l) and (m). He asked if Treasury wanted to talk about item (n) on independent clearing house. Ms Sihlali said that we are just clarifying that the independent clearing house acts in accordance with its clearing house rules. Mr Buthelezi said that the committee agreed to item (o). He then asked the committee to turn to page 70. He asked Treasury about the changes that had been made to item (p). Ms Sihlali said we are just including the definition of what a licensed central counterparty is; it must be licensed in terms of section 49. Mr Buthelezi asked about the changes in item (q). Ms Sihlali said that an external central counterparty must be licensed in terms of section 49A. Mr Buthelezi said that the committee agreed to items (r), (s) and (t). He asked Treasury if it wanted to comment on item (u). Ms Bednar-Giyose said that the definition of prescribed was inserted in order to ensure going forward the usage of that term in the legislation is appropriate and includes regulations that may be issued by the Minister. Mr Buthelezi asked about the insertion of “prescribed”. Ms Bednar-Giyose said that this definition was inserted because currently there are numerous references in the Act that refer to “prescribe” so it was necessary to insert a definition so that going forward “prescribed” is appropriately defined. It can in certain instances refer to the Minister prescribing regulations or the authorities prescribing standards by conduct standards or joint standards, so it allows the term to be used appropriately in the legislation going forward. It was included to align how things are done in terms of the Financial Sector Regulation Bill because now one would be encountering the new types of standards being issued. Mr Buthelezi said that the committee agreed with item (v). He asked why Treasury had made the changes that they had to item (w). Ms Bednar-Giyose said that the amendment here is in the interests of alignment. A definition that was used in the Financial Sector Regulation Bill was inserted into the Financial Markets Act to facilitate the alignment between the two pieces of legislation, similarly with the definition of prudential standard and registrar that follow afterwards. Mr Buthelezi asked what definition Treasury had been using before the insertion of this definition. Ms Bednar-Giyose replied that these were terms that were not used before in the Financial Markets Act, they are new terms that Treasury is going to be using as a result of the Financial Sector Regulation Bill. There was previously no reference to a prudential authority and there were no references to any prudential standards or any type of standards in the FM Act, these were introduced in the Financial Sector Regulation Bill. The registrar that is referred to is the new register of legislation in other legislation that is going to be established to allow for the dissemination of information. These are new terms that were previously not in the legislation but they are going to be used throughout the Financial Sector Regulation Bill. Some of these terms are being inserted into the different financial sector laws to enable them all to be interpreted in a consistent manner, and to allow for them to be implemented appropriately and clearly going forward. Mr Buthelezi asked if Ms Bednar-Giyose would repeat what she had just said regarding the insertions and the pieces of legislation that are going to be affected by the changes in the FSR Bill. Ms Bednar-Giyose said that those two additional pieces of legislation are having to make consequential amendments to each of the pieces of legislation that are termed financial service laws to align them with what is happening in the FSR Bill, specifically with those pieces of legislation that are defined in Schedule 1 of the Bill as being financial sector laws. Treasury needed to make amendments to enable the new regulatory authorities, the prudential authority and the conduct authority, to be able to implement the legislation that they are responsible for in accordance with the FSR Bill that will be enacted. To facilitate that and to make it clear how the legislation will be interpreted Treasury is proposing with the various pieces of legislation to insert some of these terms that are used in the FSR Bill that previously were not used in the other pieces of legislation before. Going forward Treasury is going to be looking at a new section 1(8) that it will be introducing into the various sectoral laws. Those are merely to facilitate the alignment and the exercise of the powers by the authorities in terms of the other pieces of legislation so that the operation of the different pieces of legislation will be implemented appropriately and consistently. In the reply to a query about consistency, Ms Bednar-Giyose that the Bill is consistent with each of the financial sector laws. National Treasury had to go through and analyse all of the laws carefully to ensure that all of the amendments are appropriately aligned. Mr Buthelezi asked if he was correct in saying that the amendments to the Financial Markets Act (No 19 of 2012) were as a result of many discussions between the committee and Treasury in which they had agreed on many of these amendments being made. That is why going through many of these amendments was a mechanical exercise as many of them had already been agreed upon. These amendments impact on many other pieces of legislation. As he understood it, once changes had been made to the FSR Bill certain amendments had to be made to this Act. Ms Bednar-Giyose said that this is correct and certainly is the case and that, these consequential amendments generally are considered to be necessary amendments that have to be made in other legislation to align appropriately with what is happening in the primary legislation that is being enacted. In answer to a query, Ms Bednar-Giyose said there are a few pieces of legislation that are having to be repealed, such as the Financial Services Board Act, the Inspection of Financial Institutions Act and a couple of other pieces of legislation. Sometimes it is necessary to repeal legislation as it is no longer relevant, becomes redundant or is in conflict with newer legislation. Mr Buthelezi said that this was fine and continued with item (w) which the committee agreed with. In this sub-item the word ‘registrar’ had been substituted because, as Mr Havemann had said earlier, Treasury considered the term ‘registrar’ to be old fashioned. Mr Havemann replied that this was correct. Someone from his drafting team added that currently it is the individual and what we are proposing is the entity. The rationale behind that is that from an accountability perspective it is more prudent to have the entity being accountable as opposed to one individual. Mr Buthelezi said that the committee agreed with this change. He asked Treasury about the amendments in item (x) on page 71. Ms Sihlali replied that they are just including a licensed central counterparty as a regulated person to the others already noted there. The definition of regulated person is an existing one, we are just adding to it. Mr Buthelezi said that the committee agreed to item (x). Mr Buthelezi said that the committee agreed to item (y). He reminded the drafting team that if they wanted to highlight items where there was controversy that they should do so. Mr Havemann said that the controversy only arises later in the amendments to the FM Act and that the next few clauses that would be dealt with in the meeting are very similar to the amendments to the other laws discussed in the previous day’s meeting. Mr Buthelezi asked where in the Act the controversy arises. Mr Havemann replied it is all the way forward under the licensing requirements, which is item 28 on page 94 that adds new section 49A Licensing of external central counterparty. This is where the controversy arises. Mr Buthelezi said that the committee would definitely like to spend more time on the parts that were controversial. Treasury should alert the committee when it comes across a controversial item and should tell the committee how those issues were resolved. He said the committee agreed to item (z). He asked the committee to then turn to page 72 and asked Treasury about the amendment that it had made on this page. Mr Havemann said that the Financial Services Tribunal had introduced previously in the FSR Bill. Ms Bednar-Giyose said that this is another term alignment which is in the Bill itself, so that there is consistent usage. Mr Buthelezi said that the committee agreed with sub-item (zB) but asked Treasury about the changes had been made in (zC). Ms Bednar-Giyose said that sub-item (zC) is a provision that Treasury is proposing inserting in much of the legislation that it will be considering. This provision specifies that if it happens that there is another term that is used in the provisions that Treasury is amending in these consequential amendments or that is used elsewhere in the legislation, that term has a meaning that is defined in the main FSR Bill. This was so that the terms used in the FSR Bill do not all need to be defined in the other pieces of legislation whenever they are used. Treasury has tried to define some of the terms that are used frequently in other legislation but there may be some terms that may be used in the FSR Bill that do not necessarily need to be defined in all of the pieces of legislation. This provision provides that those terms used in the other pieces of legislation would have the same meaning as the term used in the FSR Bill so that there is consistency in interpretation. Mr Havemann said that item 3 is identical to what was discussed in the meeting the day before. In answer to a query, Ms Bednar-Giyose said that in item3, clause 1A(2) is actually a different provision that is inserted in this particular Act that is not necessarily in all of the other Acts so it is very good that this was asked about. The intention of this provision is that given when the different provisions in the FSR Bill might have gone into operation or when the different consequential amendments might be brought into operation, that there might be a slight possibility that it may be decided that Treasury needs to bring in consequential amendments in the FM Act before some of the provisions in the FSR Bill can be brought into operation. This provision provides for such a necessity. If for instance the prudential authority was not yet established, the registrar of banks would, until the prudential authority was established, exercise powers that would be the powers of the prudential authority but this would be a temporary, transitional period. So the registrar of the Financial Services Board (FSB) would perform that function and exercise those powers if that was necessary, for a temporary period, if the financial sector conduct authority was not necessarily brought into operation yet. Treasury hoped that the FSB would never actually have to use these powers but it recognised that there may just be a situation where such a state of affairs might arise, so this provision allows for that. Mr Buthelezi said that the committee agreed to item 3 and that these had been dealt with the previous day. Mr Buthelezi asked the committee to go to page 73. He reminded members to ask questions if they had questions, especially when the committee moved on to the more controversial clauses as he wanted there to be a thorough engagement with the new amendments if members were not in complete agreement with the amendments. He asked Treasury why it had made the changes that it had to item 4 on page 74. Ms Bednar-Giyose said that the changes in 4(a) are revised wording changes and emphasize that the FSR Bill would prevail in application over the FM Act in the event that there is any conflict between provisions. There really should not be conflict but if, for instance, there was some inconsistency between the provisions, the FSR Bill would prevail. That is the only change in sub-item 4(a). The change in sub-item (b) is an insertion of a reference to the South African Reserve Bank (SARB) and the Prudential Authority and this is necessarily in light of the relationship between the Conduct Authority, the Prudential Authority and the SARB in terms of the FSR Bill. That is a minor revision in the clause to appropriately recognise the relationship with those regulators. Mr Buthelezi said that the committee agreed to items 4. Mr Buthelezi asked if Treasury had already discussed exemption or if they were still going to discuss it. Ms Sihlali said that Treasury would still discuss this. Mr Buthelezi said that the committee agreed with items 5(a) and 5(b) on page 73. The committee agreed to item 6. Mr Buthelezi asked Treasury that when a new category of amendment arises that Treasury indicate this so that the committee can ask for a proper explanation of the amendment. Ms P Kekana (ANC) said so they are not contesting the changes here. Mr Buthelezi asked Ms Kekana to speak into her microphone as she could not be heard and joked that people would think that she was not in the meeting. The committee went through item 7 amending section 6 of the FM Act. Mr Havemann said that 7(e) [substituting section 6(3)(m)] is part of the controversial clauses and Treasury would explain exactly what it is trying to do with this clause. Mr Buthelezi joked that this is a clause where there is no meeting. Mr Havemann laughed. Although he pointed out that he had given the Chairperson a copy of the email that had been sent to him by the JSE three days prior and it seems that Treasury is close, much closer than it was because they have walked back from some of the statements they made to the JSE and they are no longer contending that the exemptions are completely unconstitutional. They have walked back from their original contention that exemptions are unconstitutional. They now say exemptions are allowable. They say that Parliament cannot grant such exemptions arbitrarily or capriciously and it is only entitled to grant an exemption from a certain law if the exemption is rational and if it would achieve a legitimate government purpose, which Treasury agrees with. Treasury has explained what it thinks a legitimate government purpose is and it will explain along what lines an exemption can be granted. Treasury is proposing that exemptions be granted for extraordinary circumstances and there are clear and very rational conditions for the exemption to be granted. There are no blanket exemptions. Ms Sihlali clarified that item 7 amending section 6 is not new; it existed before in the FM Act. What Treasury is proposing is that when it comes to exemptions and external markets, Treasury just wants to enforce stricter conditions. Mr Buthelezi said that the committee agreed with the amendments to item 7(a) to (d). He asked the committee to turn to item 7(e) which addressed exemptions and external market infrastructure. He questioned if these are the conditions that must be satisfied for jurisdiction equivalence. Ms Sihlali replied that they were. If you read it holistically, it says [inaudible] the entity must come from and the regulators would not necessarily be abdicating their responsibilities and the external market infrastructure must co-operate with the authorities [inaudible]. Mr Buthelezi asked for a definition of what Treasury considers to be an equivalent jurisdiction. Ms Sihlali said that we provided a framework later under item 8 which inserts section 6A, we will get to that. So just to say, Chair, that these conditions in 7(e) are quite stringent. Mr Buthelezi asked the committee to go to the sub-items on exemptions and external market infrastructure in item 7(e). The committee agreed to the part being substituted into section 6(3)(m)(i), (ii) and (iii)(aa), (bb) and (cc) of the FM Act. He said sub-section (cc) related to what had just been discussed. The committee agreed to sub-items 7(f), (g), (h), (i) and (j) which were still about exemptions. On page 78 the committee agreed to sub-items (k), (l) and (m). If we recognise an equivalent jurisdiction do they recognise us as an equivalent jurisdiction? Mr Havemann said that was a very good question. South Africa has a framework of equivalence so we can recognise an equivalent jurisdiction and the other country has a framework for equivalence also, so it is possible, I think, that you could end up with not equal equivalence. Ms Sihlali said that with most jurisdictions like the EU what is very critical is for them to recognise you in term of mutual recognition it is a very important answer in terms of our entities benefiting in terms of our regulatory framework being recognised. We not strictly imposing a neutral recognition but we are allowing for [inaudible]. Adv Jenkins clarified that both countries could have a framework for mutual recognition. That is a requirement of the EU. It might be that the frameworks differ. If one country has a lower standard the second country might say that we are not going to recognise you but because we have a higher standard you will recognise us. The first country then has to work to get its standards up. So it is the normal market pressure coming into effect. That is the capital world of forcing people to play by certain rules. It is possible to have this framework for mutual recognition in place but if the one country still falls lower on the scale and the other country is higher on the scale, then the country higher on the scale can trade and the country lower on the scale cannot. He was not sure if there is a corrective action that is in place. Ms Sihlali said that what most jurisdictions have in that instance is called a substituted compliance. When another country’s standards are lower in certain respects but it still meets the first country’s framework, the first country enforces their standards on the second country, and substitutes their compliance for the second country’s compliance. So there is a mechanism that exists when there are different standards where authorities have flexibility to recognise the regulatory framework of the jurisdiction. For instance, for emerging markets such as South Africa, most of the counterparts are foreign and European based and the two biggest jurisdictions are the US and EU. It is very difficult when the EU requires mutual recognition. If there is no equivalence framework it prevents our institutions from participating in foreign markets and a global market where more than 60% of the activity is foreign. This is therefore a very significant matter in which South Africa must confer equivalence, even if we are not enforcing the framework in the same manner as the EU is. But it is something for us as South African entities will only be recognised if South Africa has a similar framework to recognise other countries. Mr Buthelezi thanked Ms Sihlali for that clarification. He asked if there are any international standards that countries subscribe to, which would provide a kind of check list that could be used to decide which countries could be engaged with, because this should not be a subjective process where a country decides to engage with another country based on whether it likes the other country or not. Borrowing from industry, there was at one point international associations of regulators where a lot of time was spent trying to agree on standards and those standards were adopted. Once those standards are adopted, a country that wants to be recognised could be recognised because its regulatory framework is recognised by another country. It would simply be a matter of ticking items on a check list to satisfy other countries’ and it would prevent the matter from being too subjective. Is there not a forum for this? Ms Sihlali replied that there are forums. There is the International Organization of Securities Commissions (IOSCO) and they provide a regulatory toolkit to meet equivalence and the Committee on Payments and Market Infrastructures (CPMI) that has developed the Principles for Financial Market Infrastructures and if you meet these requirements that are prescribed in the Principles, that is an essential part of the criteria for a comparative system. Mr Buthelezi said that Ms Sihlali’s explanation helps because he was getting a bit jittery that the standards will become too subjective. He said the committee agreed to (m), (n) and (o) on page 78. Ms Bednar-Giyose said that there is a slight technical error in (o). The phrase in brackets “[as prescribed in section 5(1)(c)]” should not be underlined as it was intended that those words should be deleted. The brackets indicate that these words should be deleted. They should not be included here. Mr Buthelezi noted this. He thanked Treasury for bringing the error to the committee’s attention and said that ‘the buck stops’ with Treasury with regard to technical errors. Mr Buthelezi asked the committee to consider item 8, looking first at the part which inserts section 6A on Equivalence recognition of foreign jurisdictions, into the FM Act. Ms Sihlali said that this is the framework Treasury has proposed where the regulators may assess a foreign jurisdiction. This sets out how they will consider this and how the foreign party will cooperate; so this is the equivalence framework. Mr Buthelezi said that without going through each of the sub-sections, if Treasury could tell the committee again what would be the necessary conditions for equivalence. Ms Sihlali explained that an interested party can apply to the authority to have a foreign assessment and these are the steps in making an assessment determination. The authority must take into account the nature and intensity of the foreign regulator supervisory oversight enforcement and the alignment of the foreign country’s regulatory framework with relevant principles, and also that the observed outcomes of the regulatory framework are not compromised, in terms of achievement of its objectives. It also provides for additional standards in terms of what they will require. Mr Buthelezi asked if, in other words, it may be partial recognition. Ms Sihlali replied that Mr Buthelezi was correct. Ms Sihlali said but this is what we are saying is needed and this is quite a high threshold. Mr Buthelezi asked about section 6A(4)(d) on “the need to prevent regulatory arbitrage”. Ms Sihlali replied that you do not want to disadvantage the foreign entities who will not want to compete here because the regulatory requirements are lesser or vice versa. This is to ensure the authorities are not giving an unfair advantage to other domestic or foreign entity when they are providing services in South Africa because of lower regulatory standards. The authorities must consider this. We are saying we cannot have lower standards but at the same time we cannot subject our entities to stricter standards than foreign entities. We want a level playing field. Mr Buthelezi said that the committee agreed on section 6A of item 8. Ms Sihlali explained that we want to provide the circumstances for changes in standards. The ability of the jurisdiction of the external market infrastructure to maintain standards must continue on an ongoing basis. If we find that there might be changes in the law, the authorities must take that into account for the jurisdiction. If there might be changes in the law in the jurisdiction, then there is an ability to say, okay, we can withdraw. Mr Buthelezi said that the committee agreed on 6B. Ms Sihlali said that this amendment was made because authorities must have a mechanism to co-operate with each other, collaborate and share information because they operate in a formal market. Those provisions, along with other pieces of legislation stipulate that when there are cross-border financial services, these services must have a way to co-operate. Mr Buthelezi asked the committee to go through the principles of co-operation, which start on page 79 and continue for the next two pages. The committee agreed to 6C (1), 2(a), (b), (c), (d), (e) and (f). He asked the members if there were any issues and the committee should consider item 8 holistically from 6A on foreign jurisdiction right through to 6C on principles of co-operation, as had just been discussed. Ms Sihlali said that none of items are contentious except the item on application for licensing. Ms Ferreira was asked by the drafting team to explain how this works in the other pieces of legislation. It is very much in line with what is being done in other pieces of legislation. Mr Havemann said that this is not new generally. Ms Jo-ann Ferreira Head: Head: Insurance Regulatory Framework, Financial Services Board, explained that once the committee sees the Insurance Bill, they will see there is an equivalent provision in the insurance space. It is not as legal as this one. Each sector might have slightly more detailed requirements. Mr Buthelezi noted that the committee agreed to each of 6C (3)(a), (b), (c), (d), (e), (f) and (g) of item 8 on pages 79 to 81. Mr Havemann said that the meeting would be going into quite controversial territory from item 28 on page 94. Mr Buthelezi said that with regard to the logistics for the meeting on 25 September, it was agreed that the meeting would be held at 10:00 in Pretoria in the FSB offices. He would be at the meeting and Ms Kekana would also be there. Adv Jenkins said that he would be in Cape Town but would make arrangements to be available via teleconference or video conference or Skype to be part of the meeting. Mr Buthelezi, Sub-committee chairperson, said the changes were ‘mechanical’ as the amendments in item 9 were simply a matter of substituting “registrar” for “Authority”. Mr Buthelezi shared with the Chairperson, who had returned to the meeting, what the committee had done in his absence in discussing the amendments on the set of Acts. He noted some of these were a compromise as Treasury and JSE had come ‘closer’ to an agreement. There was an issue of constitutionality but Treasury was able to prevail and the JSE finally agreed that it is constitutional. There was the issue of equivalent jurisdiction where obviously there are conditions that must be met. The committee went through these amendments laboriously. These were the more substantive amendments of the FM Act. Mr Buthelezi said that the committee came across some of the contested amendments and it deliberated on these to try and provide guidance on these issues. He asked members if he was correct in what he told the Chairperson. The members replied that this is correct. The Chairperson said that the procedure differs from committee to committee but usually sub-committees are often chaired by the committee Chair. He does not agree with this approach and wanted to alert Mr Buthelezi that he would be in charge of the sub-committee, especially as the Chairperson had not been in all the meetings. Although Mr Buthelezi was sitting next to him, Mr Buthelezi could ‘run the show’. While the Chairperson takes the overall responsibility, the politician accounting for the meeting will be Mr Buthelezi, and he will therefore have to take notes to explain to the committee what happened in the sub-committee meeting, as he would be the chair of the sub-committee. Mr Buthelezi said that the committee agreed to item 9(a), (b), (c) and (d). In (c) the Authority must publish the rules and requirements on its website. So that would be inserted in the FM Act. Ms Sihlali said that this is how the Act operates currently. With the addition of section 8(3) we are saying that where requirements have been prescribed in regulations, these may be amended by conduct standards or joint standards, although this does not take away the Minister’s regulation-making power. Ms Bednar-Giyose explained that going forward it is just in relation to a lot of the legislation currently issued by the Minister. In the future significantly fewer regulations will be issued by the Minister and more will be done by standards raised by the authorities. So the Minister’s current power to make regulations will not be utilized to nearly the same extent as before. There is going to be a similar provision in the Banks Act and “regulations” will gradually be replaced with “standards” going forward. The Chairperson asked, in general, which a more consultative process, regulations or standards? Ms Bednar-Giyose said that in the FSR Bill the processes are very similar. Currently, in relation to regulation making powers in the other sectoral laws, it varies a bit. For instance in the FM Act, which is quite a recent piece of legislation, there is quite detailed consultations and provisions which Treasury would discuss later when the committee came to that section. However, there are not actually consultative requirements for others, such as in the Banks Act. There is still a consultation process that is undergone but the required process in the legislation is not as detailed as that currently proposed in the FSR Bill. Overall Treasury is trying to provide fairly similar consultation requirements for both regulations and standards, making them quite consultative processes, going forward. The Chairperson said Treasury had done a comprehensive and very efficient amendment of all the relevant Acts in the Schedule of the FSR Bill. This was maybe a question for Adv Jenkins and he asked how a parliamentary committee can ensure that they have in fact met all the consequential amendments, short of bringing in every Act itself and checking from the beginning to the end. Secondly, what would then happen if the committee had omitted to deal with a consequential amendment in the Schedule? Would a court accept that it was meant to be amended? Ms Bednar-Giyose said that Treasury does undertake a thorough examination of all the legislation. The State law advisors examined quite thoroughly the consequential amendments as well as all of the Provisions in the Bill itself, so Treasury actually underwent a lengthy process for quite a few weeks going through the legislation, including the Schedules. She agreed that it is difficult for the committee to examine each and every aspect of every piece of legislation. In terms of implications, if it turned out that there would happen to be something missed, but there would be certain principles of interpretation that the court would apply in determining how the law should be applied going forward. There are principles that specify that subsequent to previous legislation, the new legislation is assumed to amend earlier legislation. There is also a principle that if there was subsequent, specific legislation that dealt with a specific issue, that would take precedent over any inconsistency with the previous, more general piece of legislation. So there are certain principles over time that the courts have adopted to address and come up with an answer when there may potentially be inconsistencies. Treasury has certainly taken all efforts that it could to try to avoid omissions with FSB and the Reserve Bank. Mr Havemann said that there is a large team of checkers, he thinks about 15 lawyers. The Chairperson said the committee researcher should write a paragraph on this matter and include it in the Committee Report in order to ‘cover the members’ backs’. The committee does not always agree with Treasury but no one on the committee would question the quality of the work Treasury have done and the amount of effort Treasury had expended and the amount of consultation it had engaged in. Treasury has done its job and now the committee needed to do its job. Parliament in South Africa has limited resources compared to Parliament in the US and the UK; however it still cannot pass a Bill without doing its job properly. 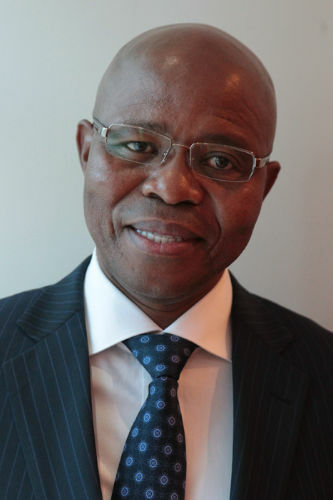 When the committee of his colleague, Dr Khosa, processed the appointment of the Public Protector, there was no record of the previous appointment process. But a good record had been kept of the current appointment proceedings. Mr Buthelezi thanked the Chairperson for his guidance. He might be speculating but he wanted to check because he believed that the DA was challenging the Bill in court. The Chairperson had explicitly asked the DA the day before if it would be challenging the Bill in court. He wanted to know on what basis the Bill would be challenged on. The Chairperson said that there are a number of reasons why someone might take a Bill to court. This might be because they genuinely feel there is a constitutional problem, that Parliament has overreached or the executive has not been held to account by Parliament, or something similar. They could have a problem with a particular provision that may not be unconstitutional but that they feel a policy causes problems, so much so that they feel they have to take the Bill to court. They might not agree with the content or it may be a process issue. That is why Adv Jenkins is here, to ensure we do the process properly. He thought Mr Buthelezi was chairing extremely well and doing it correctly. The Chairperson said the DA is not happy about the credit regulator, but we are saying to the two parties, DTI and Finance, to discuss over the next two years the greater convergence and appropriate form, so we are opening the door to consider a merger. He said Mr Buthelezi did not need him to be present. Mr Buthelezi thanked the Chairperson and said that the reason he was asking was that the matter had come up again that morning. He thought that everything had been done openly as the committee had gone through the legislation clause by clause and members had been given an opportunity to raise issues during this time. Mr Buthelezi asked the Chairperson, before he leaves, to tell him who would be representing the DA on the sub-committee. The Chairperson replied that it was Mr Topham. He agreed that perhaps the way things evolved, he did not clarify to the DA members that today’s sub-committee meeting had always been an option. Mr Buthelezi said that the committee agreed to item 11 on page 82. Mr Buthelezi said that the committee agreed to item 12. The committee agreed to item 13. Mr Havemann said that these amendments are straightforward and are simply changing “registrar” to “Authority” to ensure that investigations are aligned . These are quite similar to the other changes that were made. Ms Bednar-Giyose said that was just a replacement of the Appeal Board because the Financial Services Board will be disbanded and matters will be considered by the Tribunal. Mr Buthelezi said that the committee agreed to item 15 on page 85. The committee agreed to item 16. Mr Buthelezi noted that this amended section 28. He said the committee agreed to item 17(a) and (b). Ms Bednar-Giyose said that the provisions in sub-item (b) are again similar to the ones considered earlier of “regulations” potentially being replaced gradually by “standards” going forward. Mr Buthelezi said that, referring to standards and regulations, the regulations are the regulations by the Minister and there is a process in which these must be published for comment. He asked if this was the same for the standards by the authority. Ms Bednar-Giyose said that process would be the process that is included in the FSR Bill in Chapter 7 which sets out quite extensive consultation requirements and what must be published for people to consider when its out for comment and sent to Parliament and so forth. It is quite extensive consultation. Mr Buthelezi said that the committee agreed to 18(a) and (b). He said that there is an assumption that members had read through this legislation before and should therefore comment when they wanted to comment and to ask questions if they needed clarity. The committee agreed to item 19(a) and (b). The committee agreed to item 20. Ms Sihlali said this was a comment from STRATE and it merely clarifies the electronic method used. Mr Buthelezi said that the committee agreed to item 22(a) and (b) on page 87. He asked Treasury to comment on 22(c). Ms Sihlali said in some instances where the registrar is prescribing something in a notice, it would be more appropriate to use conduct standards or joint standards and by this it is indicting it would mean the Authority. Ms Bednar-Giyose said that Treasury was deleting the reference to registrar that is in brackets. Mr Buthelezi said that the committee agreed to sub-item (d). It had agreed to sub-items (a), (b), (c) and (d) of this section. Ms Sihlali said that sub-item (d) clarifies that in order for the central securities depository (CSD) to approve an external CSD, it must also take into consideration the laws of that relevant entity. Mr Buthelezi said that the committee agrees with item 23. Mr Buthelezi asked why Treasury had made the changes that it had to item 24. Ms Bednar-Giyose replied that it was just amending the chapter heading in the FM Act “Licensing of clearing house” to include “and central counterparty”. Ms Bednar-Giyose noted the amendment in item 25 is also a heading amendment to a section. Mr Buthelezi said that the committee agreed to sub-items (a), (b) and (c). Ms Sihlali said that (c) was a small section, [inaudible] it was one of those constitutionality issues that was brought up [inaudible]. Mr Havemann said, entertainingly, he thought the committee will enjoy this, what is tripped by them being exempted from the law of powers, besides their exemptions being the worst invented by anyone ever; we will exempt them. Mr Buthelezi said that apart from the potential of litigation emanating from parliamentarians, what is the feeling of Treasury, from the industry and from the stakeholders in general? He asked if anyone was going to challenge the Bill, and if they were, on what grounds they would do so. Mr Havemann highlighted that the Banking Association supports these provisions quite strongly, particularly the proposal allowing them to become members of foreign counterparties. One of the banks has set up a subsidiary in London and the subsidiary has joined the foreign CCP. Treasury does not think that this is a good outcome because now they are a member of the CCP that is offshore and South Africa has absolutely no control over the activities of that entity. Treasury would prefer if that entity stay in South Africa. It would cost them a lot of money to set it up offshore. There is consensus that this is an issue, even though it has not really come out in the comments. This comes from two stakeholders and this is something to bear in mind as it is not as if one stakeholder disagrees and the others support it. Mr Buthelezi said that when one considers the economic meltdown of 2008/9, one of the things that was criticized was de-regulation. The private sector had been given a wide scope and no matter how private sector argues it is always geared towards profits, anything else is incidental. If the private sector could get 100% return on investment without employing anyone then it would do so. This is why a regulatory body is needed. He was therefore arguing for regulators from government who will go and influence the private sector so that the private sector will have multiple objectives and not just look at profit margins. Mr Buthelezi said that the committee agreed on sub-items 25 (d), (e), (f), (g) and (h). Ms Sihlali clarified about the central counterparty being included in (g). Mr Buthelezi asked the committee to turn to page 89. The committee agreed to 25(i) and (j). He did not want to start item 26 in this meeting as time was running short. The committee would continue with item 26 in the meeting on Monday 25 September. The committee had dealt with many of the ‘mechanical’ amendments but the controversial issues were yet to be covered. In response to a query, Mr Havemann said Treasury may ask Ms Caroline Da Silva, Deputy Executive Officer: Financial Services Board, to explain that on the 25th as she is the relevant person. Ms Bednar-Giyose added that this issue is in terms of the Financial Advisory Services Act, not in terms of the FM Act that the committee had been looking at now. The Financial Advisory Services Act would probably be the next piece of legislation to look at in the meeting on 25 September. She was sure that the FSB would discuss this issue and she had been engaged with the FSB on this issue. Mr Buthelezi said that it had been agreed that the Committee would meet at the FSB building at 10:00 the following Monday 25 September and the meeting would not adjourn until the business was completed.